HBG is a family group built on a history, its course and its values made it the successful and reckoned Group it is nowadays. The group was first established at the beginning of the 20th century: a small family business of public works at Bouchamama, a small village in the Gabes governorate situated in southern Tunisia. The company developed rapidly and around 1948, changed its name to “Entreprise Bouchamaoui Frères-EBF” and soon specialized in the implementation of hydraulic projects, infrastructure and agricultural land development in Tunisia as well as in Libya. By carrying out large-scale projects and employing more than 5000 people, EBF became the leader of Tunisian companies at the time. 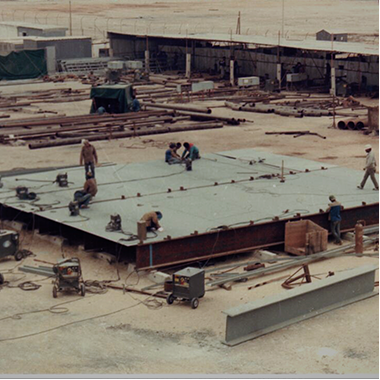 In 1968, thanks to its vast experience acquired locally and in Libya, the company developed its performances to cover services in the field of energy and became the pioneer company in Tunisia specialized in posing oil and gas pipelines. It then changed its name to “Bouchamaoui Petroleum Activities -BAP”. 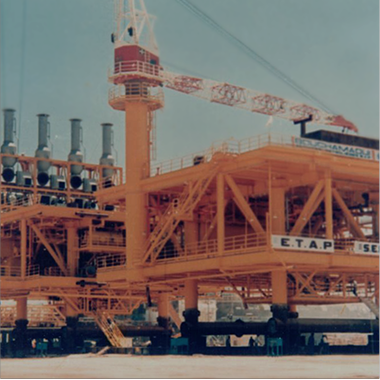 BAP succeeded in implementing several projects on-shore and off-shore: it was the first Tunisian enterprise to ever realize a plat-form off-shore (off the Gulf of Gabes in 1984). In 1993, Hédi Bouchamaoui founded a company for oil and gas exploration and production; “Hédi Bouchamaoui § Sons-HBS”, the first Tunisian and African private company whose activities of exploration began covering areas in southern Tunisia. 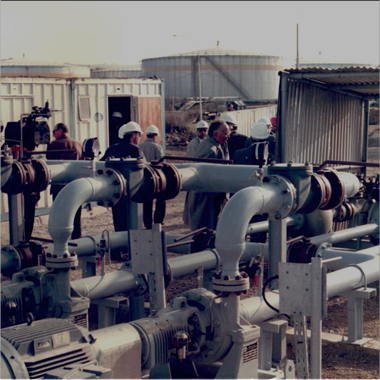 With its rich experience and performance, HBS succeeded in expanding and developing its oil exploration activities outside of Tunisia, particularly in Egypt. In 2012, the Hédi Bouchamaoui family founded HBG Holding. The Group’s dynamism was achieved through a cohesive strategy (horizontal and vertical) capable of developing various multi-sectoral activities covering mainly distribution, agriculture, real estate and financial services on a national and international level.